Blackstone Pipe Tobacco cigars are high-quality, machine-made smokes that come at affordable prices. These are perfect for both regular and occasional smokers, thanks to their wonderful flavors, compact sizes and low prices. The fillers are a flavorful blend of pipe tobaccos that burn slowly to produce a smooth, refined and flavorful smoke. The cigars are enclosed in natural Indonesian wrappers and equipped with plastic tips. Each piece measures 5 inches in length and has a ring gauge of 30. Smaller than traditional cigars, these come infused with delightful flavors like wine, peach and others. The mild, vanilla-flavored cigars are perfect after-meal treats. You can now have these as desserts, without consuming a single calorie. A wonderful fruity option is the cherry-flavored cigar. The tobacco blend infused with cherry gives off a delicious sweet and sour taste. This unique flavor plays on your palate and gently entices both your sense of taste and smell. 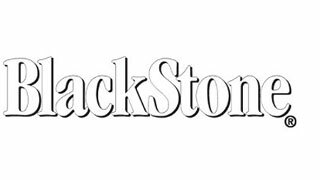 Blackstone Pipe Tobacco cigars are true masterpieces that have satisfied the cravings of countless smokers. These machine-made cigars were first manufactured in 1997. They are now produced by Swisher Cigar Co. in the US. The cigars come in sealed, airtight packets that preserve freshness, flavor and moisture. Blackstone Pipe Tobacco cigars are perfect for smoking anytime, anywhere! Have them while lounging around in a bar or share them with your friends while relaxing at social get-togethers. These are also great for gifting to your friends and family members on special occasions.